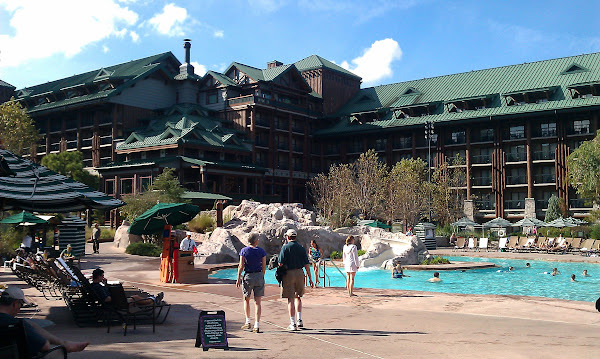 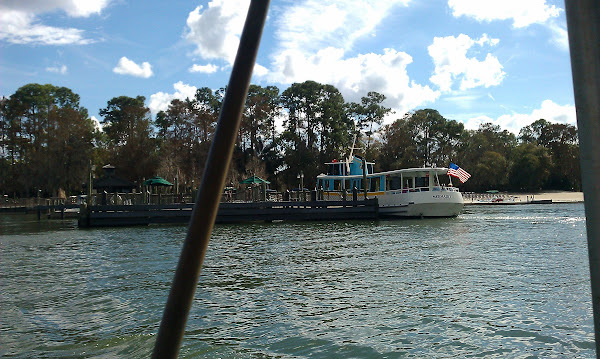 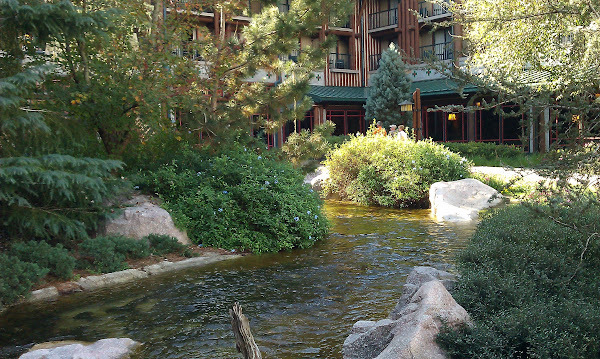 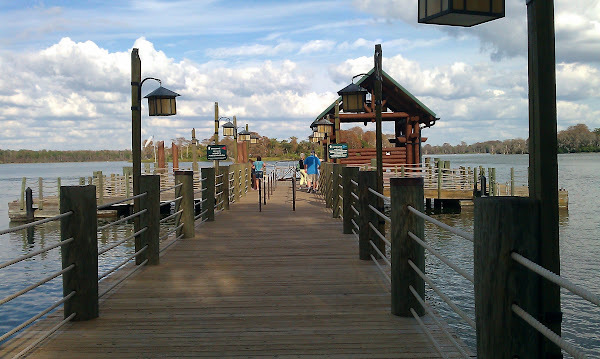 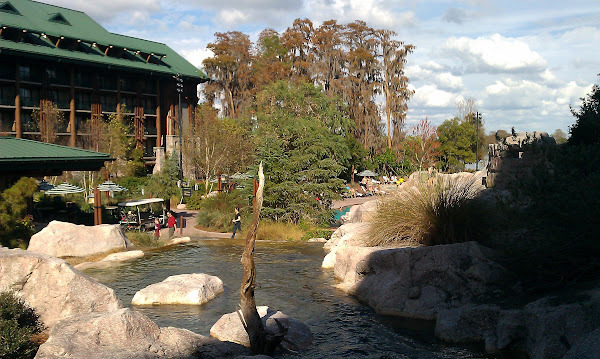 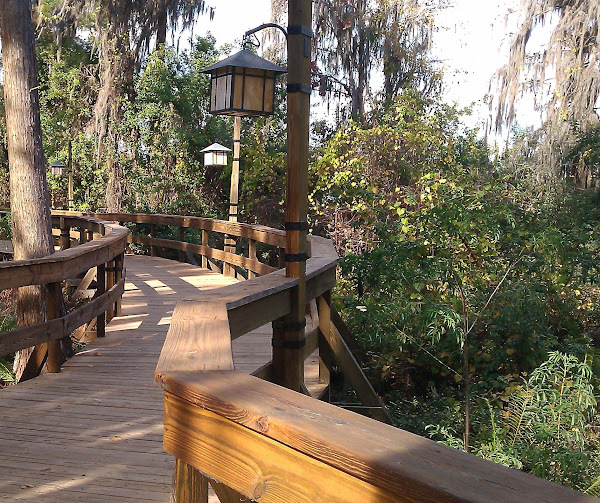 On Tuesday , we took the boat over to Wilderness Lodge which is one of our favorite resorts. 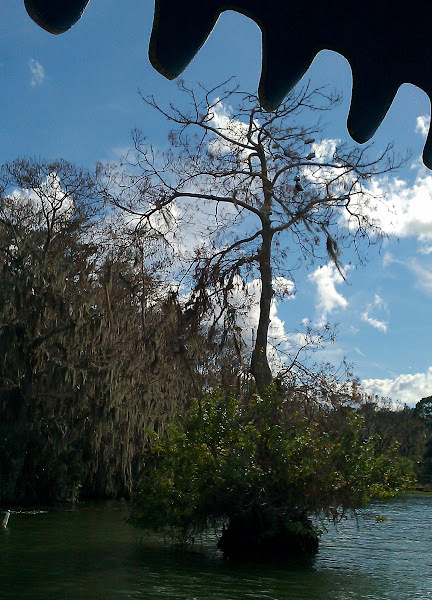 The boat passes by the “Shoe Tree” – according to one of the cast members, each time a cast member retires it is a custom that they throw a pair of their shoes into the tree! 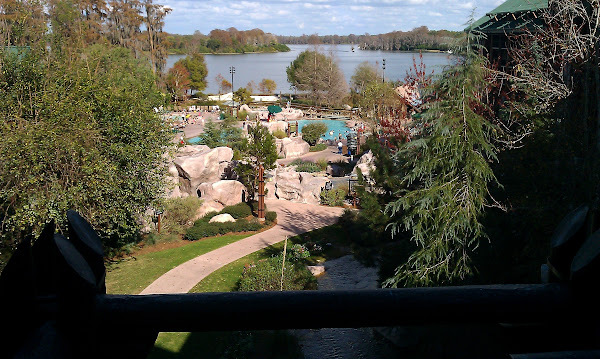 We also passed by the remnants of Discovery Island and River Country, both of which were shut down in 1994, replaced by Animal Kingdom and the water parks. 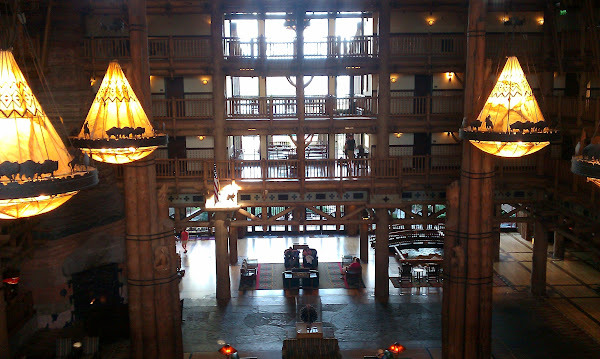 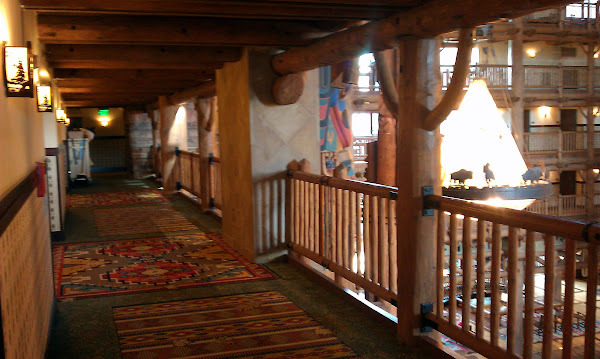 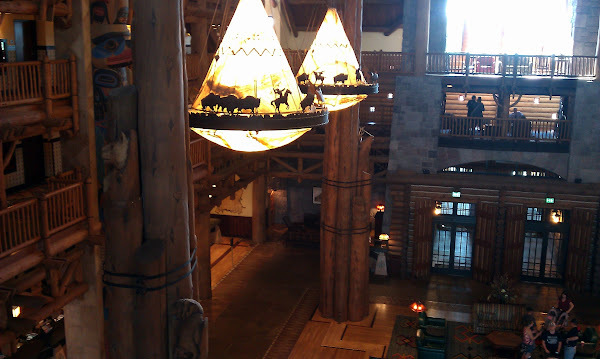 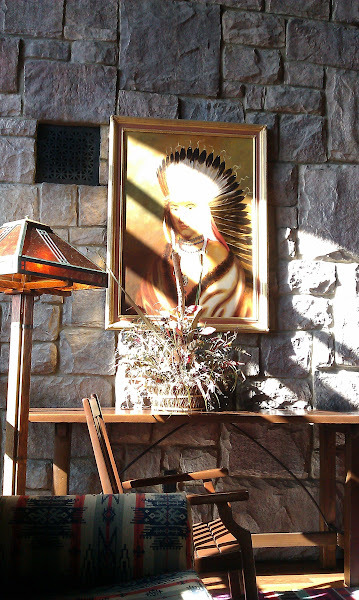 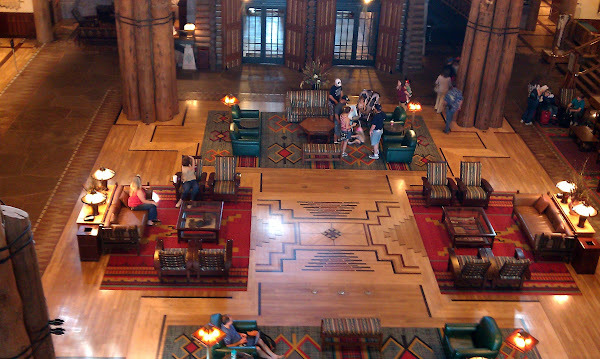 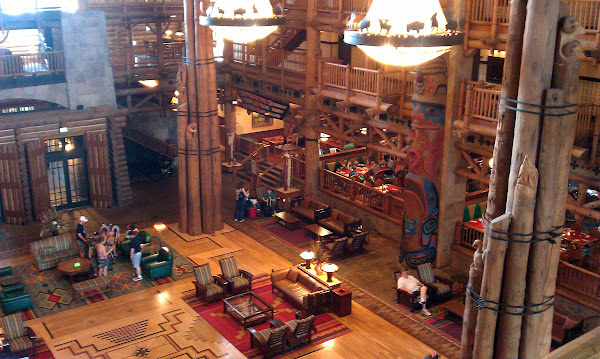 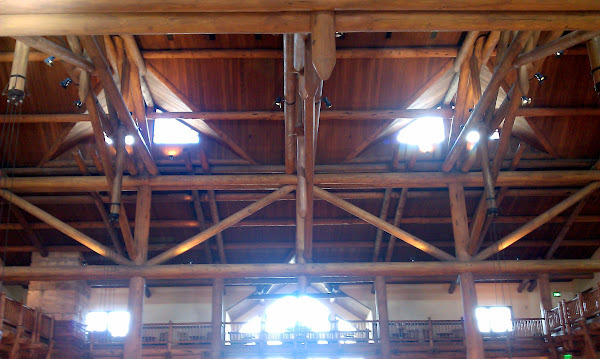 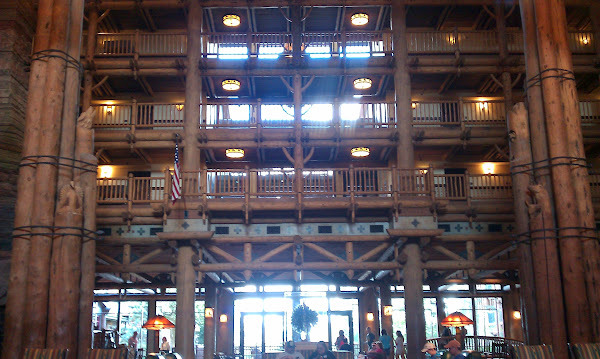 Inspired by the Great American Northwest National Park lodges from the turn of the century, the Wilderness Lodge has a 7 story lobby built from 85 loads of Lodgepole Pine. 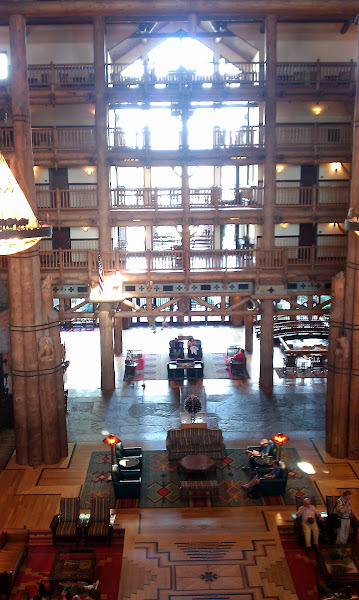 In the corner of the lobby is an 82 foot tall fireplace. 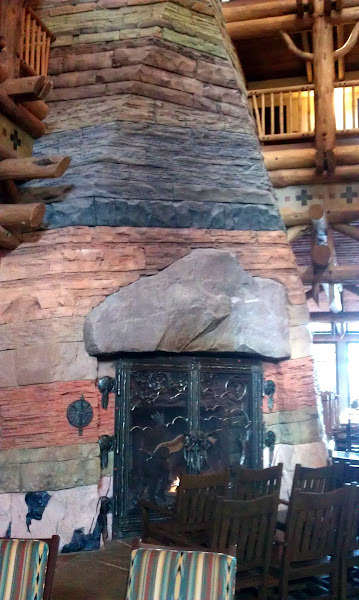 According to an excerpt from a Disney brochure, “the mammoth 3-sided fireplace with rock work layers in hues of green, magenta, buff, black, brown and more than 95 other colors—represents the nearly 2 billion years of the Earth’s history that are exposed in the rock strata of the great chasm known as the Grand Canyon.” Even when it is hot aside, the fire is burnin g! 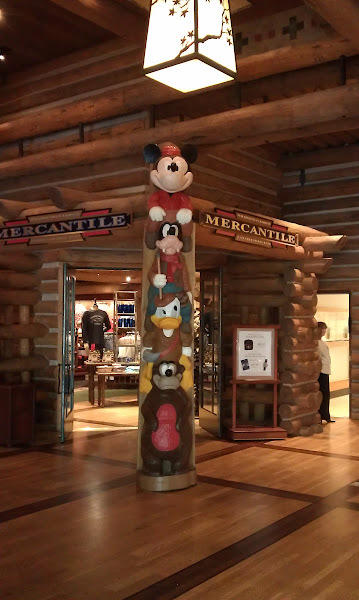 On one side of the lobby is the Mercantile Store with a totem of Disney characters standing guard at the entrance. 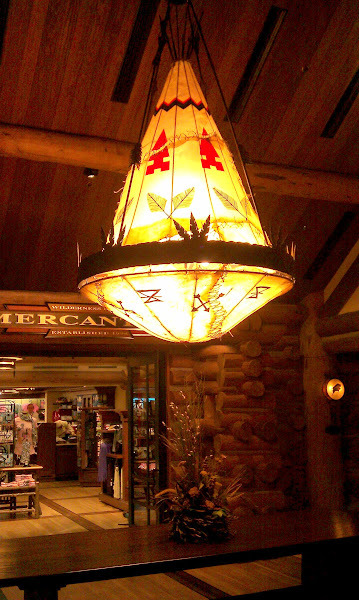 On the opposite side near the entrance to the lobby is one of the two restaurant s at the lodge, the Whispering Canyon Cafe, an American West themed restaurant serving an all you can eat barbecue. 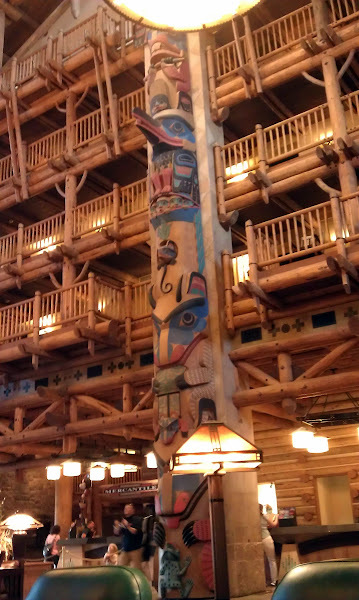 The other restaurant, Artist Point, is an elegant restaurant with a Pacific Northwest National Park lodge theme. 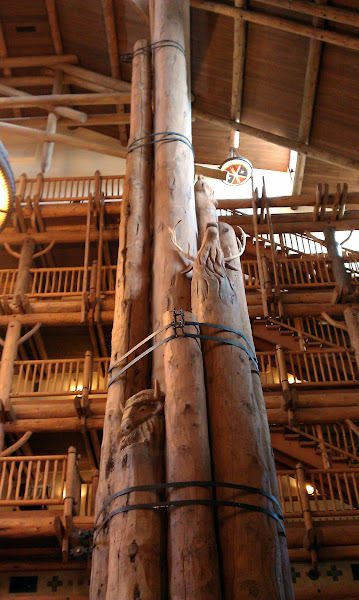 Last winter we ate at the Whispering Canyon – the food was good but it is geared towards kids so there are a lot of games going on while you are eating. 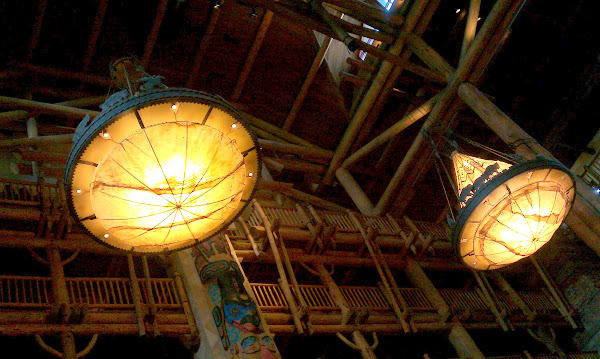 We’ve also eaten at the Artist Point restaurant when we have been here before and participated in the Disney Dining Plan. 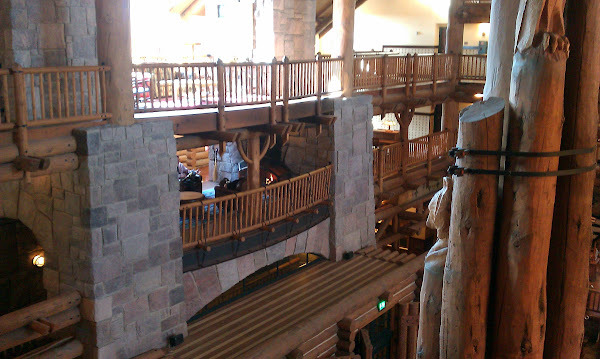 The food is excellent but when you are not on the dining plan, the price of $42 an entree is a little steep. 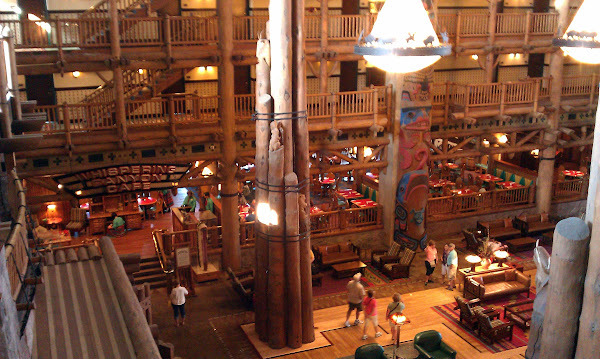 Needless to say, we won’t be dining at the Wilderness this trip. 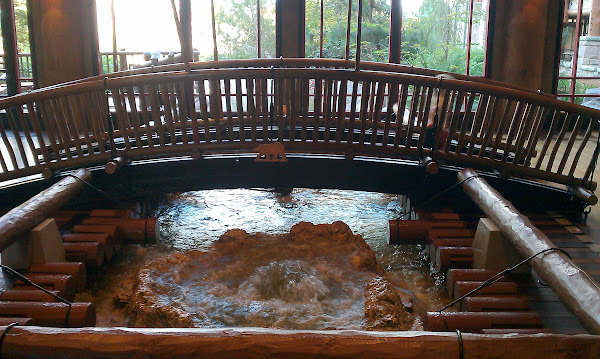 On the resort grounds, there is a bubbling spring that flows into a creek, tumbles over a waterfall and empties into the swimming pool. 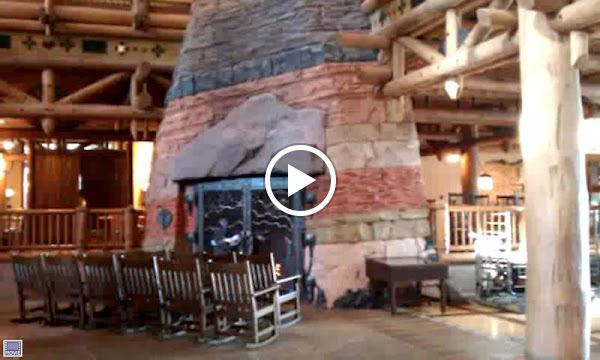 Fire Rock Geyser fashioned after Old Faithful sends a plume of water 120 feet in the air every hour. 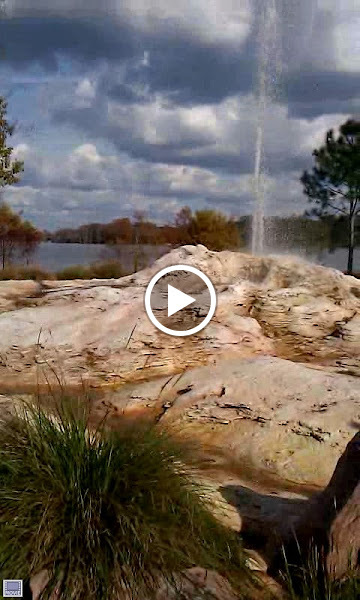 Here is a video of the geyser…. 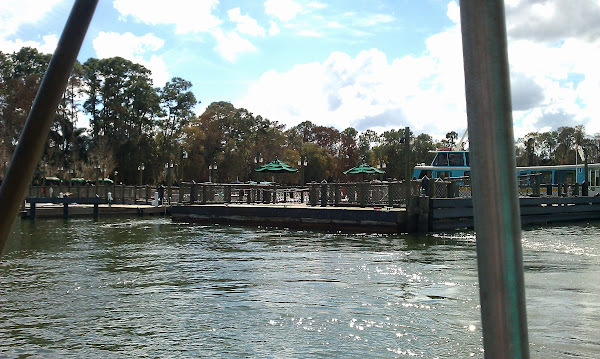 After spending several hours here, we hopped on the boat heading for the Contemporary Resort but that will be covered in a separate post.